It looks good but there is a huge problem with a performance. If I try to pan, zoom etc. the application horribly slows down. Also I’ve tried to group measurements by Color and then plot a couple of series with specified color but the result is the same. I am attaching a simple application which shows the problem. 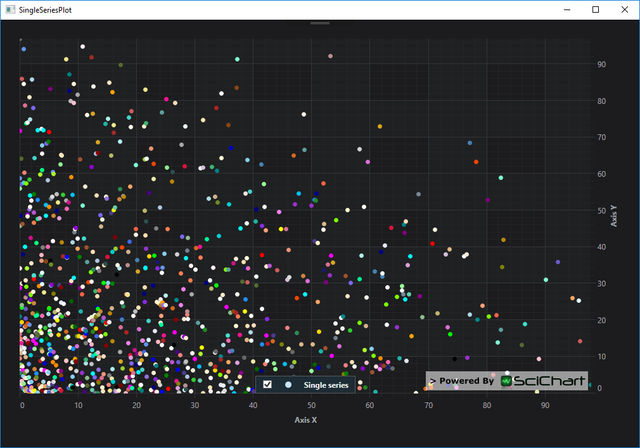 Scatter plot tool-tips not consistent with CursorModifier?